Worldwide and every year, floods lead to several thousand fatalities, billions of dollars’ worth of damages and millions of people affected or displaced, with numbers ever increasing. 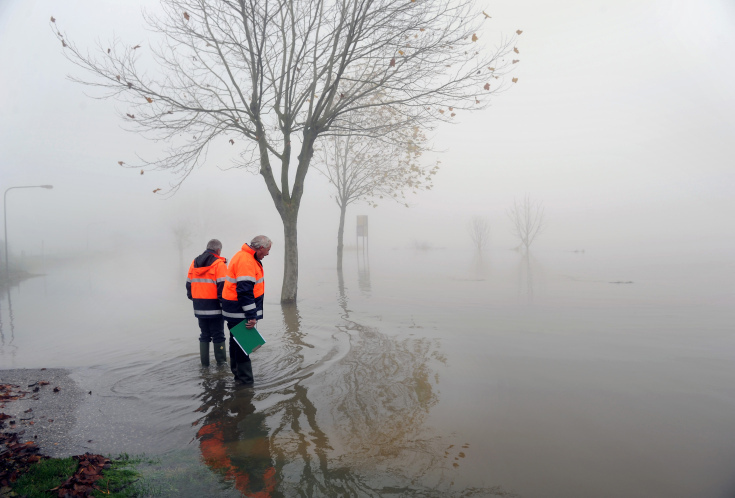 Sound flood risk management, supported by high quality flood risk assessment, is therefore essential. Unfortunately, the necessary resources (time, budget, data) for flood risk assessments are often limited. The Hyogo Framework for Action was established to reduce the impacts of natural hazards amongst which floods worldwide, yet to understand and quantify the risks associated with floods worldwide, at any location in the world remains a challenge. To enable flood risk assessments and analyses of the feasibility and effectiveness of interventions for any location in the world by establishing and integrating data, tools and methods to rapidly set up and run models using global datasets. Various global data-sets are available as ‘open source’ and the vast amount of data is still increasing. Examples are digital elevation data from SRTM, gridded global rainfall maps from CRU land-use maps and river networks from OpenStreetMap and Global ocean bathymetry data from IHO. In our research programme we ensure that these data sets can be used for flood risk analysis, either to generate meteorological events, rapidly setup model schematisations to compute flood hazard or estimate flood impacts. Furthermore, Deltares develops global scale flood models for global flood risk analyses. Deltares focusses on the development of (software) tools that facilitate a convenient use of global data sets to flood risk assessments. Furthermore, data and methods are validated extensively to establish which data-sets and methods are useful for which applications. Rapid assessment tools are relevant for anyone who requires a cost-effective flood risk assessment in a data scarce environment, for example the World Bank, NGO’s, consultants, (re)insurance companies, research institutes, government institutes and UN organizations.